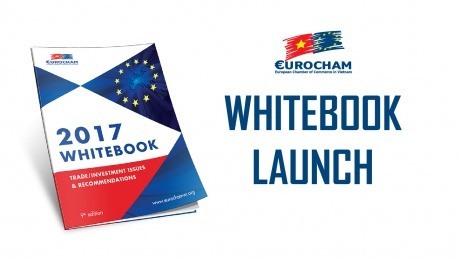 EuroCham’s Whitebook 2017 highlighting issues relevant to trade and investment in Việt Nam is scheduled to be launched on March 2 this year. HÀ NỘI – European companies have expressed optimism about the business environment in Việt Nam during a recent meeting with the press, Công Thương (Industry & Trade) newspaper reported. A survey on Việt Nam’s business environment in the fourth quarter of 2016 has revealed that the European Chamber of Commerce in Việt Nam (EuroCham) was positive about its operations in the country. 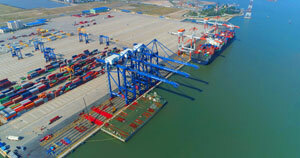 Nearly 73 per cent of the European businesses have given the thumbs up to their operations in Việt Nam, and only 5.5 per cent were pessimistic. Up to 90 per cent of companies said they would maintain or increase investment in the Southeast Asian country, while 56 per cent said they planned to keep or increase the number of employees, and a mere 6.7 per cent said they planned to reduce staff. The European chamber has held various activities to encourage enterprises to invest in Vietnamese localities such as Buôn Mê Thuột in the Central Highlands province of Đak Lak and the northern port city of Hải Phòng, along with other Central Highlands provinces. It established a branch in the central region to help businesses step up investment in Quảng Nam, Đà Nẵng and Thừa Thiên – Huế, and hopes to set up more branches in Hải Phòng and other localities. This year, the chamber will accelerate the enforcement of the EU-Vietnam Free Trade Agreement (EVFTA) and clear up concerns raised by European firms, as well as host more dialogues among Vietnamese government representatives, ministries and agencies, and European companies. 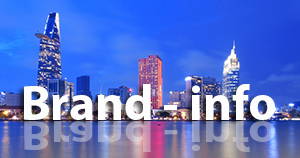 EuroCham expects the Vietnamese government to further improve the business environment and increase the competitiveness of the economy. The chamber will come up with measures to help businesses implement the EVFTA.